Kudos to Director James Watkins for putting out a stellar supernatural suspense! 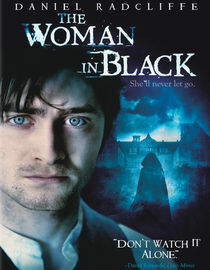 I was a bit leery going in to this movie because of Daniel Radcliff as the lead – he just doesn’t do it for me. I watched it anyway, drawn to the movie’s premise, and am so glad I did. Watkins created a moody, realistic world rife with danger without leaping into melodrama. The characters were odd ~ I mean that in the best of ways ~ and stood out from your typical cast. He captured the isolation, views and feel of a small, rural town. The settings were well done and the manor was so beautiful that I wanted to teleport it directly here! Thankfully, he avoided the contraptions of over-use of CGI and instead utilized mood, lighting, actors and music to portray the supernatural realm. The toys – yeah – creepy! The storyline was eerie, twisty and the end was very cool! This is a definite watch again! Drives me nuts when reviewers post spoilers on books and movies – Arghness! !